The elegant contrast of black and silver makes a delicious mark on this chic pendant from John Hardy's Bamboo collection. Shaped like bamboo, two sterling silver rings link together with one perfectly polished in silver and the other encrusted in black sapphires. A 16" to 18" adjustable link chain puts this exquisite piece at the perfect spot along your neckline. 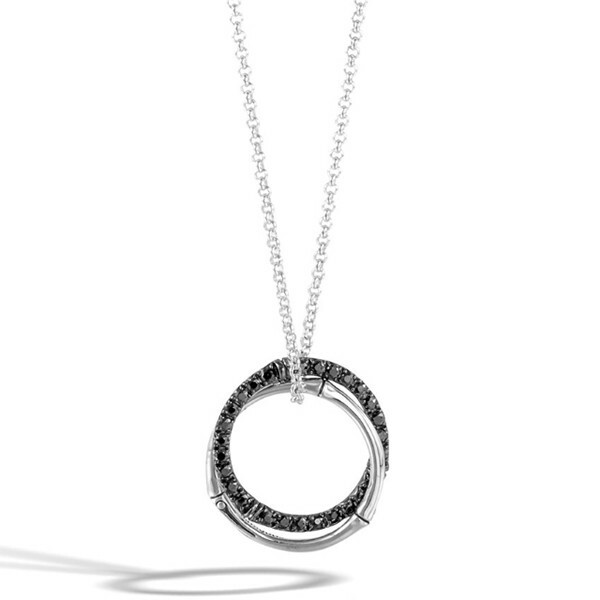 This John Hardy pendant necklace is most inviting! 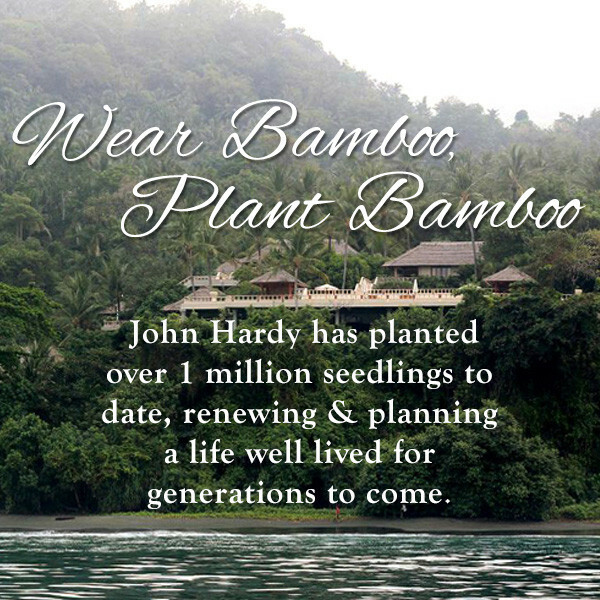 Three bamboo seedlings are planted with the purchase of this John Hardy piece.